Individual Display Case - The Duncan Hines Oven Ready Homestyle Brownies were in their own display case located right at the end of the aisle. 2 for 1 price – They were marked as on sale as 2/$7. Wow, two of them for one low price! Not very cost efficient at $3.50 a box. Convenience – The box boasts convenience factors that enticed me as a tired shopper. 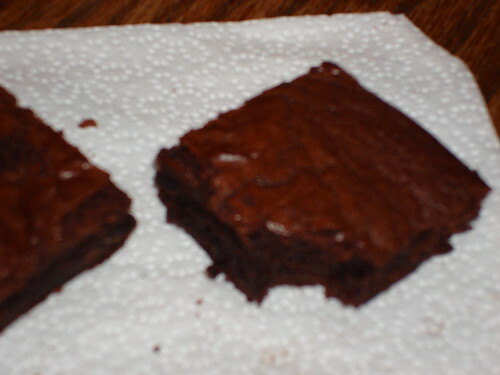 I mean come on, premium brownie batter that is ready to bake with no prep and no clean-up. I couldn’t resist atleast trying it. 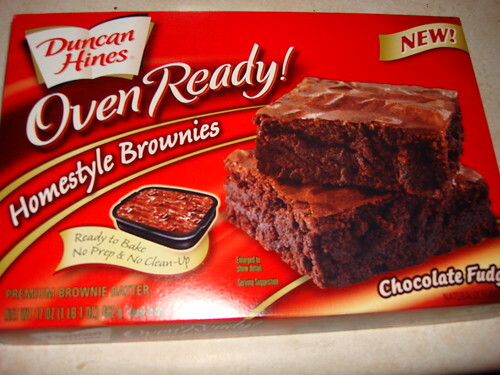 The Duncan Hines Oven Ready Homestyle Brownies were definitely easy although, I flipped the box to find I needed a cookie sheet to place the convenient tray on. Fine. All else that was required was to cook it at 350° for 25-27 minutes or until an inserted toothpick comes out clean. Wait?! What if I had no toothpicks? I do, but seriously. I wonder why a convenient product like this doesn’t come with a toothpick. Even Handi-Snacks knows what’s up. 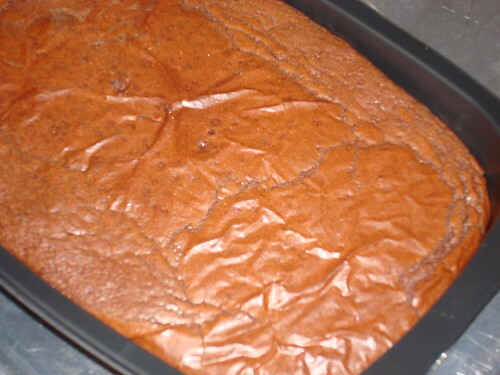 Looks pretty brownie-like and it’s passed the toothpick test. Is it good? It wasn’t horrible. 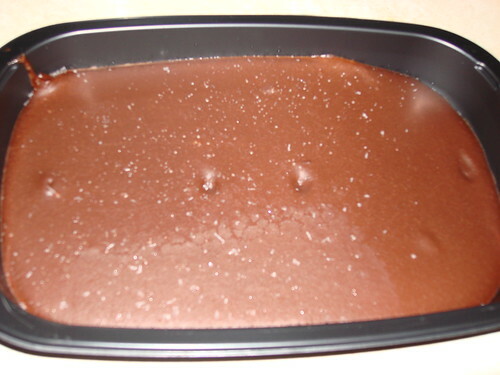 If you went in seeking chocolatey fudgy goodness, you’d be let down. It was more cakey than gooey and there was an odd taste of berries amongst the chocolate flavor. I would not buy this again.